Author Richard Adams may have thought it was just “a story about rabbits”, but for more than 40 years, Watership Down has functioned as a litmus test for what is and is not considered to be suitable content in children’s entertainment. With the BBC and Netflix’s new television adaptation on the horizon this Christmas, much speculation surrounds how it will compare with the legendary representations of violence in the novel and 1978 animated film adaptation. It has been reported that the new adaptation will tone down the violence to be more suitable for family viewing. The trailer and a recent preview screening at the BFI offer the first glimpses into this more tempered approach, and invite reflection on the way we think about horror in children’s media more broadly. Based on Adams’ 1972 novel, the new mini-series will screen as two feature-length episodes and depict the epic journey of a group of rabbits who flee their doomed warren (set to be destroyed by humans to make room for a housing development) in search of a new home. Along the way, they encounter threats in the form of humans and their technology, other animals and other rabbits. The mini-series is being presented as a new adaptation of the novel, with no relation to the 1978 film beyond their shared source text. But the film helped to make the novel (which is surprisingly sophisticated for what is ostensibly a children’s animal story) more accessible to a wider and younger audience, and the film’s imagery still looms large in the British cultural imagination. In particular, the film is remembered for inflicting trauma upon unsuspecting young viewers who may have been expecting something tamer from a U-rated animated film about rabbits, but which actually presents shocking imagery of animal death and violence. Social media is rife with memes that continue to perpetuate this reputation by humorously juxtaposing such imagery with the film’s questionable status as children’s entertainment, while Channel 5 ignited public debate after controversially presenting the original film on Easter Sunday two years running. General Woundwort: one of the many memes about Watership Down circulating on social media. One of the many memes about Watership Down circulating on social media. For many, it will therefore be difficult not to compare the mini-series with the film, particularly with regards to the treatment of violence. That the mini-series is digitally animated is interesting in this regard, as it has the potential to give the production a photo-realistic visual style, unlike the more abstract, hand-drawn “cel-animation” of the film, which adheres more closely to classic cartoons. The style of the mini-series thus risks making any sequences of violence seem more realistic – and potentially more frightening to child viewers – and will need to tread carefully in order not to offend. But it also risks taking an overcautious approach and experiencing the fate of the animated series broadcast by CITV in 1999, which has failed to make a lasting cultural impression with its far more sanitised adaptation. 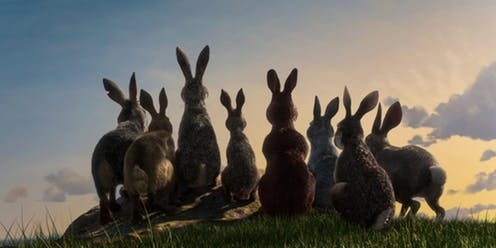 Reports that the mini-series will tone down the violence inherent to Watership Down might be of some relief to parents looking for family-friendly Christmas viewing, but potentially worrying for fans hoping for a faithful adaptation. A recent preview of the first episode of the mini-series reveals that the new adaptation attempts to please both camps with an approach that takes after not the 1978 film, but more recent cinematic influences. In a post-screening Q&A at the BFI, producer Noam Murro stated his intention to approach the series like a feature film. This is most evident in the action-oriented fight sequences, such as a battle between the rabbit protagonists and a flock of birds, that would not be out of place in any contemporary action blockbuster. But these sequences are almost entirely bloodless. The film’s blood-red portrayal of the consequences of violence, rendered so brightly in the stylised cel-animation, is downplayed in the mini-series to the extent that the few appearances of colour red blend in with the series’ earthy colour palette. The approach of the mini-series therefore seems to be not so much to depict less violence, as has been widely reported, but to depict more violence, with less of the bloody aftermath. This approach might seem more palatable to concerned parents, but it also risks lowering the stakes of the rabbits’ plight – something the film cannot be accused of. New research presented at the University of Warwick earlier this year argued that the film’s violent content is a necessary element that conveys the devastation of human impact upon the environment, as well as the evils of the fascist rabbit antagonists headed by the formidable General Woundwort, seen in the picture above. 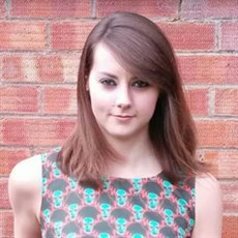 Watership Down’s pro-environmentalism, anti-fascist messages – and the bloody violence that helps them to make an impression – remain sadly pertinent to today’s culture and absolutely worth communicating to children. Although the dialogue of the new adaptation is heavy with references to the barbarity of humans, it is questionable whether these will have a lasting impression without visuals to match. I hasten to add that I am not advocating showing the corpses of small animals to toddlers, but rather that the situation calls for some nuance. The horror in Watership Down – whether novel or film – is never without a specific moral or narrative purpose. Ironically, memes such as those above obscure this clarity in favour of shock value and broad generalisations: about Watership Down, about children’s media, and about children themselves. The problem is not that Watership Down is horrific, or even that its horror defies our conceptions of what is suitable for children, but rather that we lump children into a homogenised group that responds to all media in the same way, regardless of age, emotional maturity or taste. By contrast, a cursory scroll through #WatershipDown on Twitter contains as many fond remembrances of the film as those recounting traumatic childhood viewing experiences; many comments straddle both of these categories at once. Regardless of how the new adaptation handles violence, the best it can hope for will be its ability to evoke such a varied range of responses. Viewers should also remember that Watership Down is not for all children – but those children who are ready and willing to engage with it may find much more to like than just violent delights.